Continuing its efforts to provide useful, real-time information to customers, the Chicago Transit Authority (CTA) launched a new system to notify customers about the status of CTA elevators. Customers can now subscribe to alerts about unplanned outages and service restoration of elevators at CTA rail stations systemwide, received via text message or email. Customers can choose to receive notifications for individual lines or all rail lines, with information on when elevators are taken out of service for maintenance or repair and when they resume operation. “Providing real-time information is an important way the CTA can help ensure a positive customer experience,” said CTA President Dorval R. Carter, Jr. “This new feature will make the information available wherever you are — on a platform, on a bus getting ready to transfer, or already on the train and en-route to a station.” The real-time information, he added, will be especially helpful to CTA riders who are wheelchair users, allowing them to plan seamless commutes. 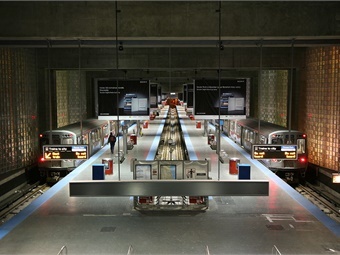 CTA operates 153 elevators at 88 rail stations, serving either the elevated structure or subway level. Through April 2016, CTA elevators had an average uptime percentage of 99.5%.